The Princeton Review ranked USC Games the number one video game program in 2018 for its undergraduate programs. Either the graduate or the undergraduate program has been ranked the number one program for game design for seven out of eight years. USC Games represents an exciting collaboration between the School of Cinematic Arts' Interactive Media & Games Division and the Viterbi School of Engineering's Department of Computer Science. "Receiving the number one ranking is an honor for all of us here at USC," said Danny Bilson, the Chair of the School of Cinematic Arts' Interactive Media & Games Division. "It speaks to the quality of our student work as well as the tremendous faculty support they receive. We are all quite proud of our growing program." 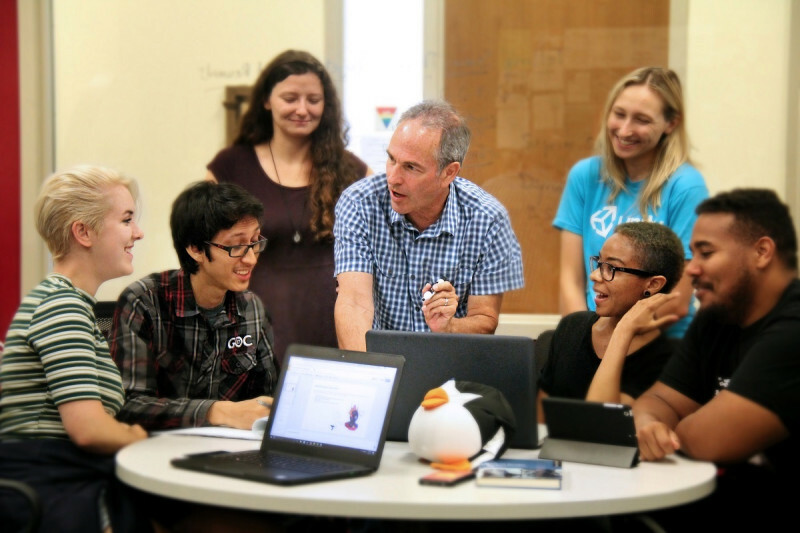 USC Games offers an utterly unique educational experience for students, and serves as the launching pad for them to play significant roles in the game design field. With rigorous, hands-on instruction from master designers, producers, engineers and working professionals in the industry, students have an unprecedented level of opportunity to delve into every aspect of creating games for a global audience. Notable alumni from USC Games include Erin Reynolds, the founder of Flying Mollusk, Jenova Chen and Kelee Santiago, the founders of thatgamecompany and Nathan Burba and James Iliff from the VR company Servios.